Average is how Megan Little would describe her life until her twenty-fifth birthday. Her body starts to change like a countdown clock heading for zero. When her research on the transformation proves futile, she makes a desperate decision and travels north to investigate a supernatural reason for what's happening. On the way, a chance encounter leaves her car vandalized, forcing her to stay the night in a small, tourist town. Five men step in to help Megan only to open up more questions in her search for the truth. Slowly, I sit up and stretch, blinking a few times to adjust to the light. If someone watches me, I want to be as natural as possible to not tip them off. After grabbing my food bag, I hop off the bench and stroll over to the trashcan. In my peripheral vision, I catch a streak of black as it runs past my car, too small to be a man. I glance at my car and freeze. A large, black panther sits on the hood. With its amber eyes staring at me, it lifts its head and roars. Panicked, instinct takes over, and I whirl around and run for the woods behind the picnic table. I realize too late that this creature will out run me in seconds, but there are no alternatives. If I’m lucky, I can loop back around to the car before the cat turns me into lunch. Not far into the woods, I spot a split in the path that should lead back to the parking lot. I quickly check behind me, relieved not to see the animal. Maybe it didn’t chase me? I take the hard right and stop dead in my tracks. A gray wolf sits in the middle of the path. This was only the third serial I've read and I'm gradually starting to fall in love with them! 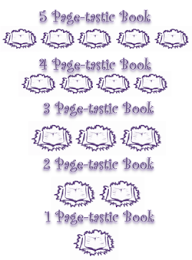 I'm very curious to see how book 2 will end up. L.A. Kirk's soon to be released serial had some shifter hotties with just a dash of humor mixed in. 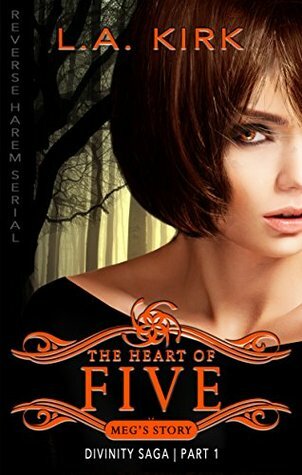 Heart of Five is a supernatural shifter serial that you won't want to miss!